Earth Day calls to mind the importance of protecting the environment—but some states, according to a new analysis by WalletHub, are doing a better job at it than others. The analysis took into account three factors: environmental quality, which encompasses aspects such as energy efficiency; eco-friendly behaviors, such as water consumption and solar panels; and climate change contributions, such as carbon dioxide emissions. Vermont has the second-lowest municipal solid waste per capita and the third-highest air quality of the 50 states. Oregon is tied with four other states for the highest percentage of energy consumption from renewable sources and has the fifth-highest amount of LEED-certified buildings per capita of the 50 states. Washington is tied with four other states for the highest percentage of energy consumption from renewable resources and has the second-highest water quality and the third-highest soil quality of the 50 states. 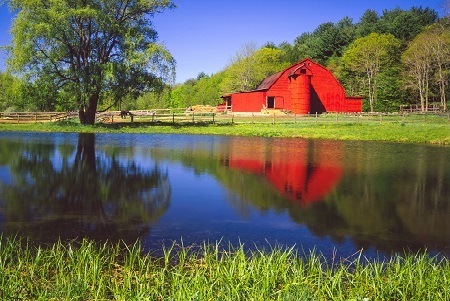 Connecticut has the highest water quality of the 50 states. Maine is tied with four other states for the highest percentage of energy consumption from renewable resources and has the highest percentage of recycled solid municipal waste of the 50 states. Minnesota has the second-highest percentage of recycled solid municipal waste, the second-highest soil quality and the third-highest water quality of the 50 states. New York has the lowest energy consumption per capita and the lowest gasoline consumption per capita of the 50 states. New Hampshire has the fourth-highest amount of LEED-certified buildings per capita, the fourth-lowest municipal solid waste per capita and the fifth-highest percentage of recycled municipal solid waste of the 50 states. Rhode Island has the second-lowest energy consumption per capita, the third-lowest gasoline consumption per capita and the fifth-lowest municipal solid waste per capita of the 50 states. How does your state rank on the green scale? View the full list here.